GameSir T1s adopts a 32-bit MCU chip, computing capability is up to 48 million times per second. Along with Realtek Bluetooth 4.0 solution and 2.4GHz module, Built-in 600mAh polymer lithium battery lasts for 18 hours in normal condition, automatic sleep mode is a power saver. 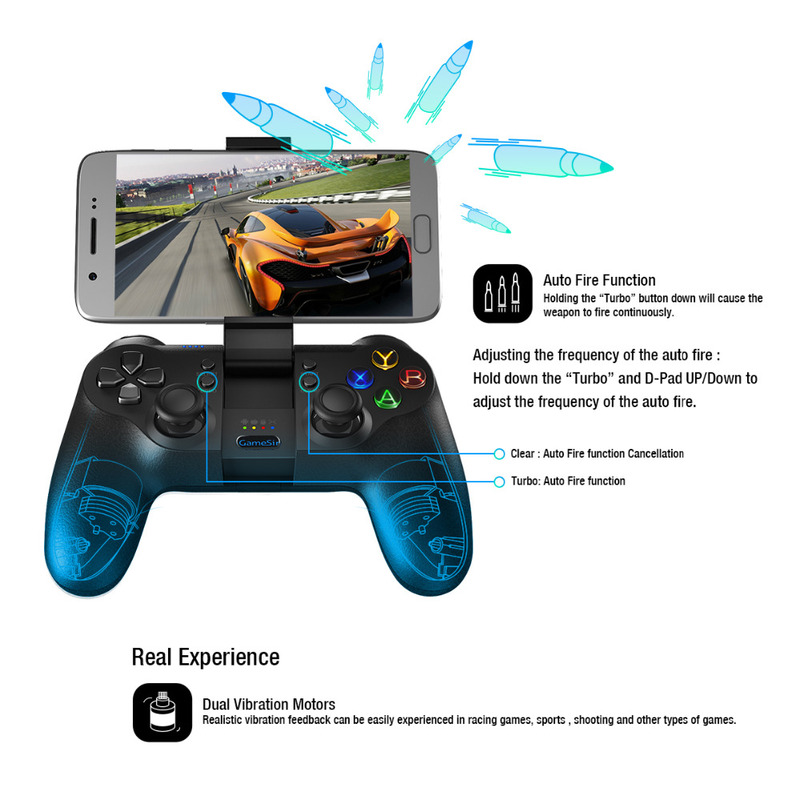 GameSir T1s is compatible with Android 4.0/Windows XP and later versions, applicable to Android smart phones and tablets, Windows PC and PS3, broad range of native Android games is supported. 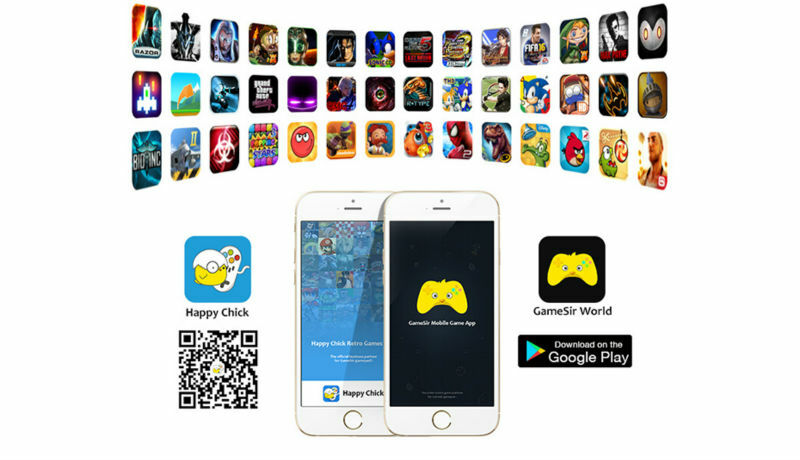 Grab tons of gamepad supported popular mobile games on GameSir free App “GameSir World” quickly to save your time and energy. And thousands of Retro games can be found and download on GameSir’s free App “Happy Chick”. 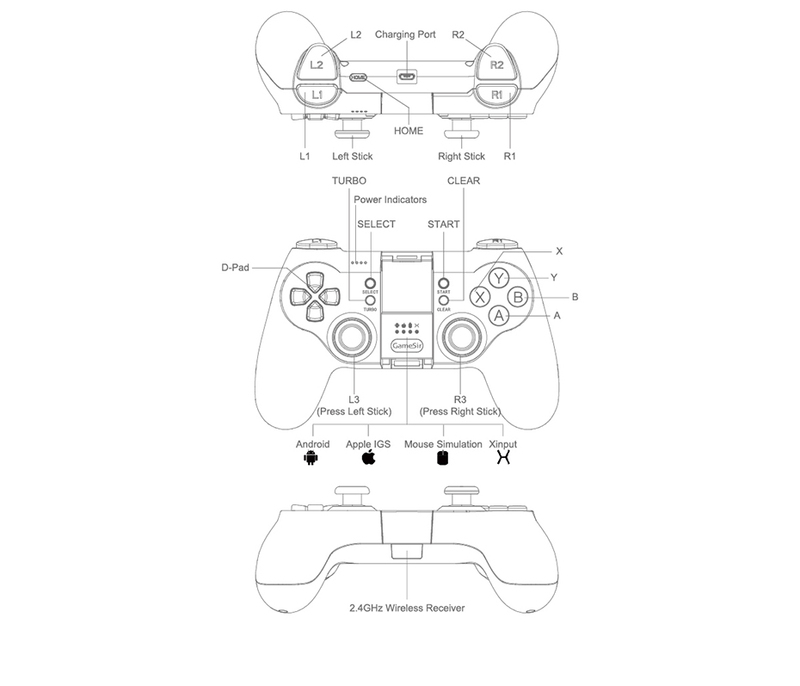 What’s More, GameSir T1, GameSir T1s all compatible with DJI Drone!! T1s with adjustable built-in phone holder compatible with any size of the Smartphone. Bluetooth 4.0 / 2.4G wireless / wired connection. It works for almost all your devices. 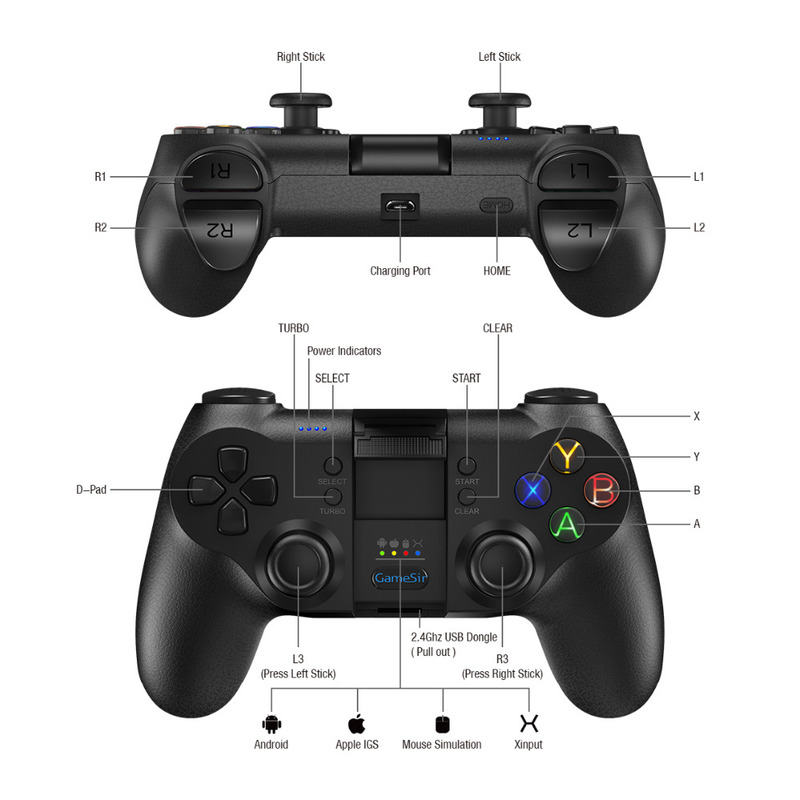 Vivid LED power indicator，which will make you control every game process perfectly. 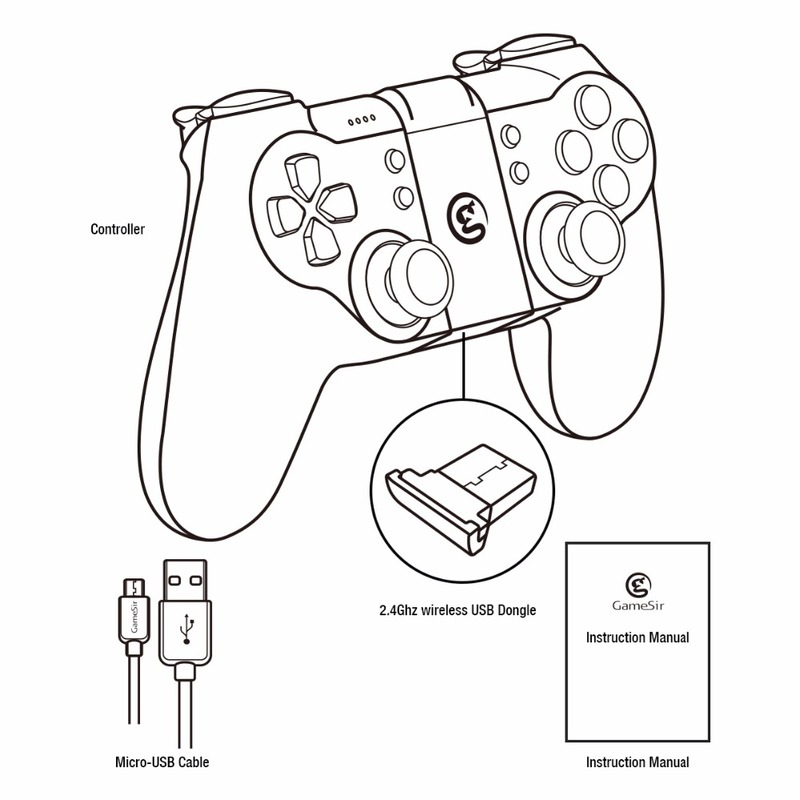 and rechargeable 18+ hours battery life get you play anytime, anywhere. Realistic vibration and striking, each hit, crush and explosion can be vividly felt.